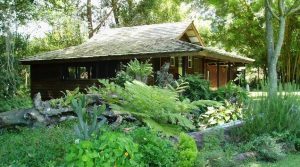 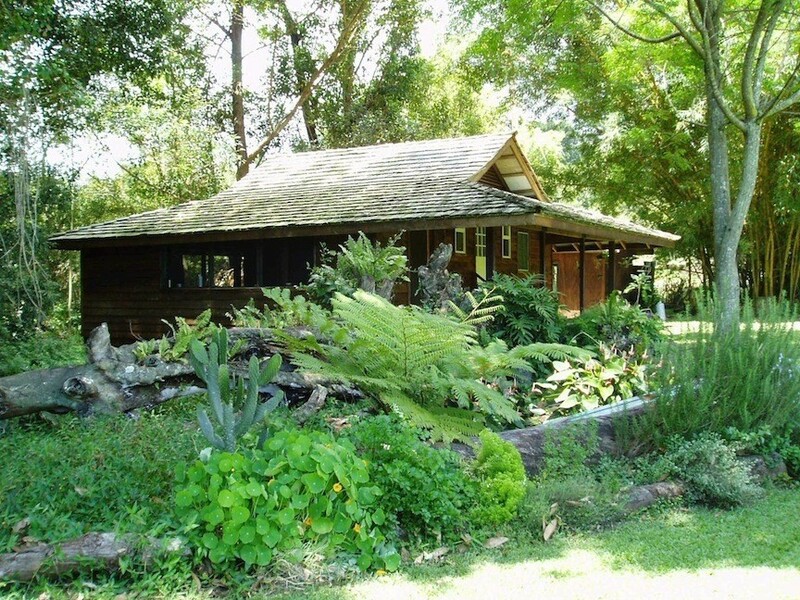 This charming, private compound is on a level, useable 2 acres bordered by a stream, with a small spring-fed pond. 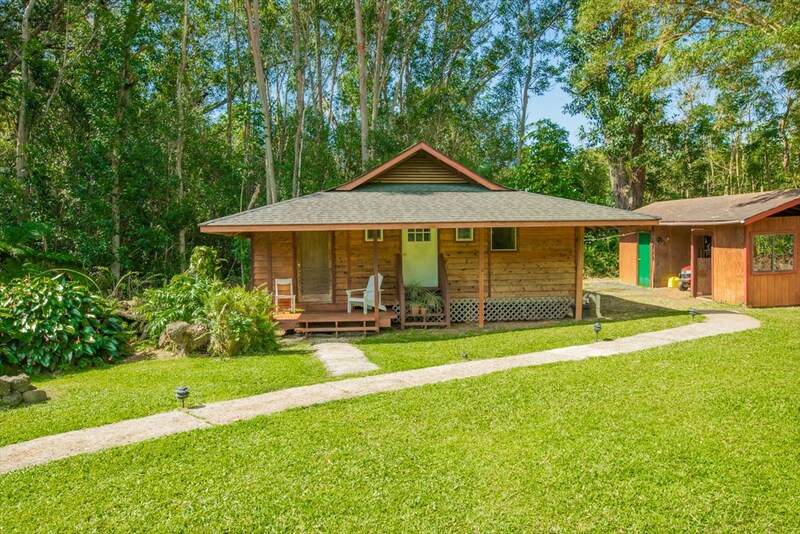 The property consists of a home, workshop, garage, and storage shed. 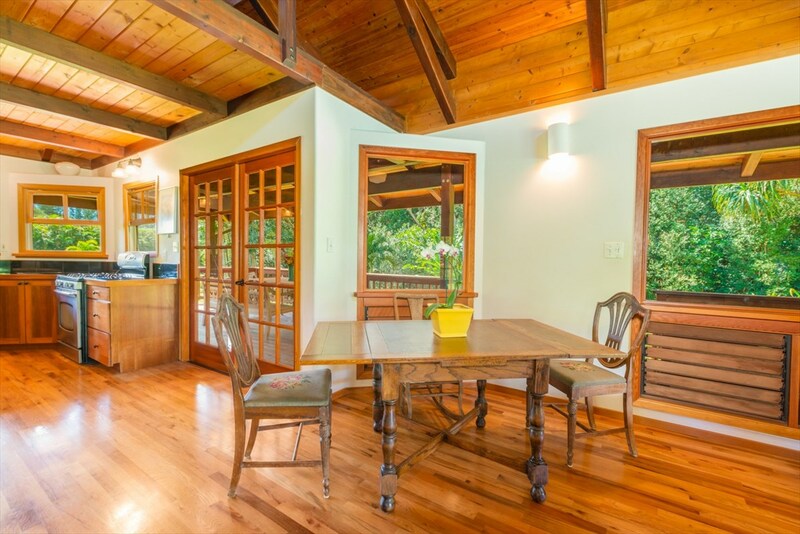 The workshop feels like a cottage. 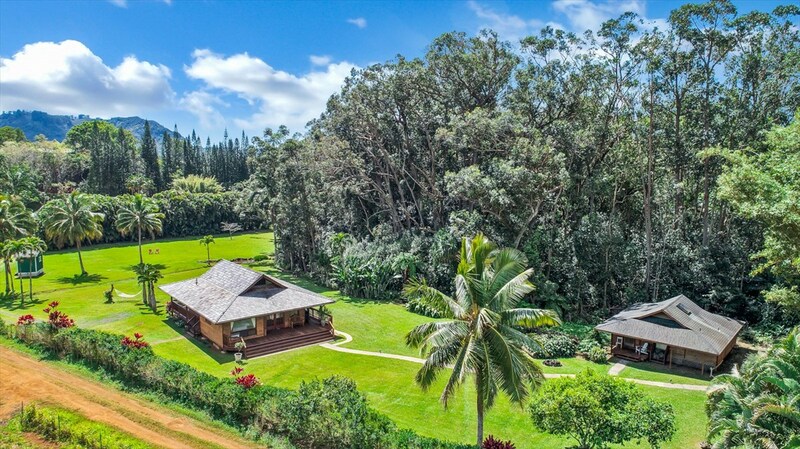 The entire property feels like a private park. 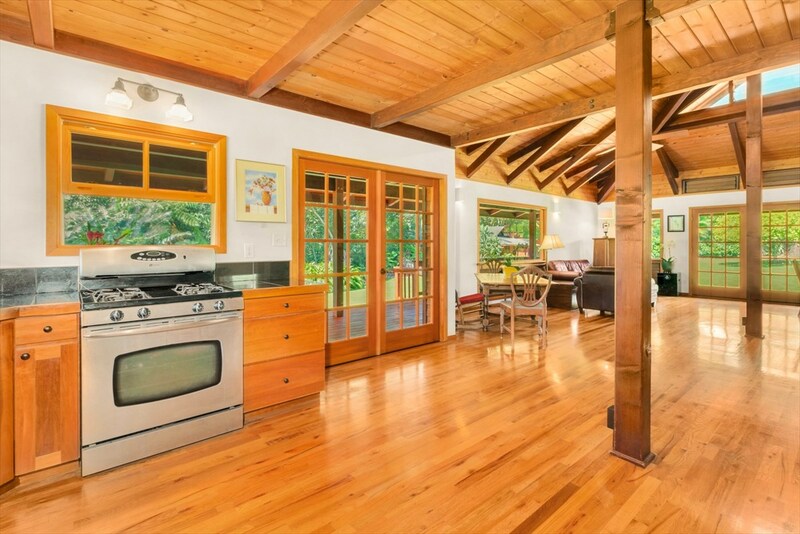 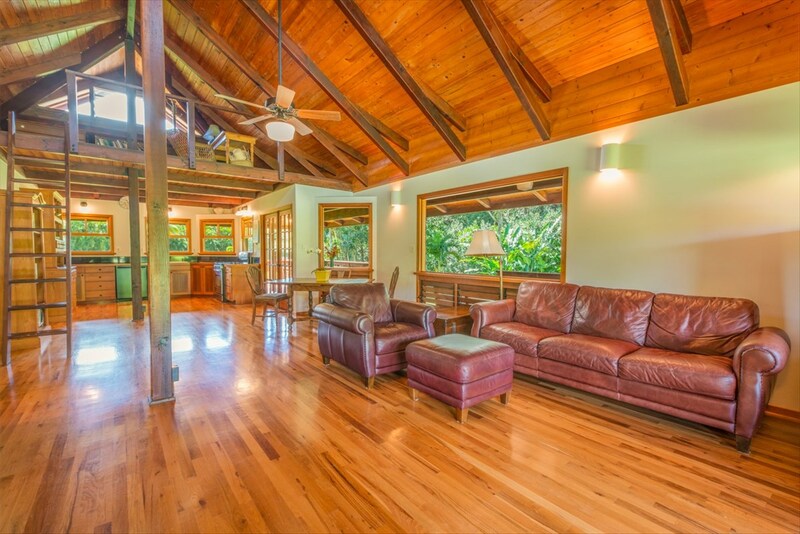 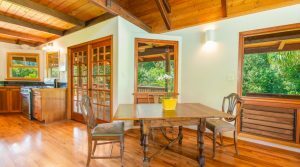 The home has an open floor plan, vaulted ceilings, and hardwood floors throughout. 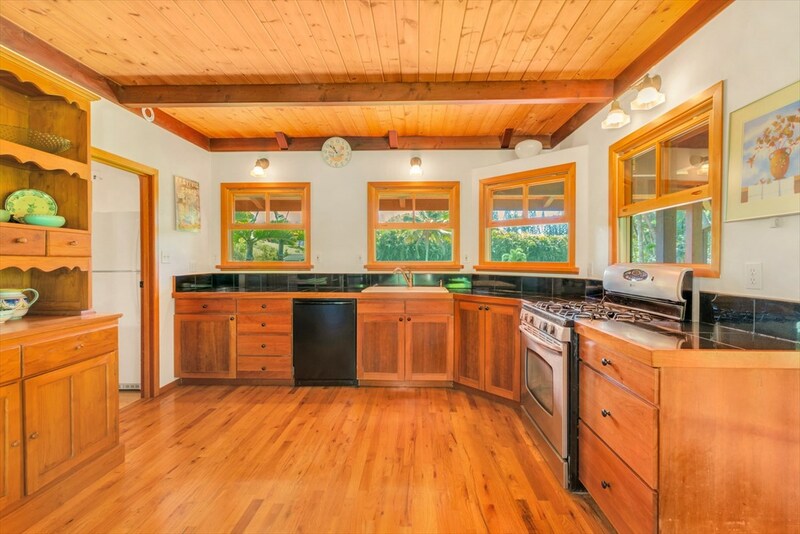 In the kitchen, there is a walk-in pantry, many windows and granite-tiled counters. 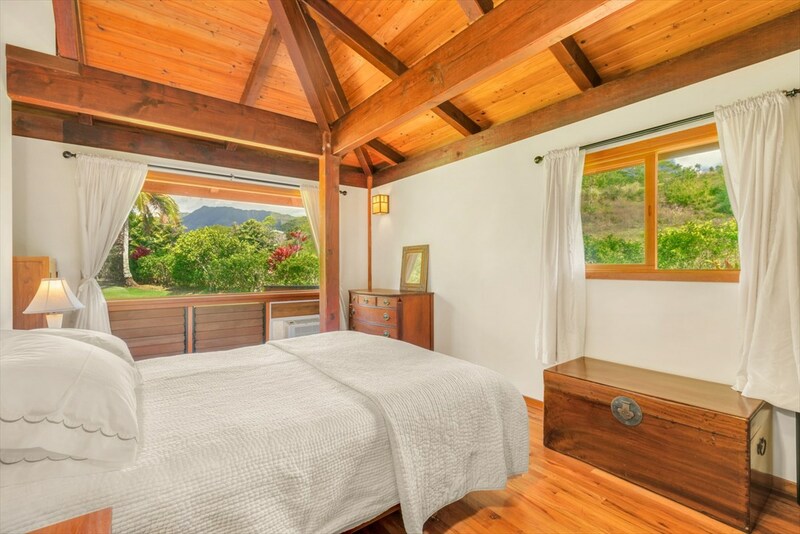 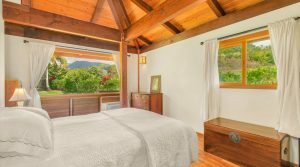 The bedroom has a mountain view……rainbows and waterfalls abound! 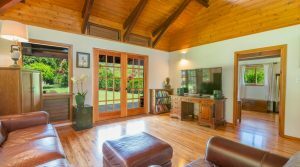 The loft is quite spacious. 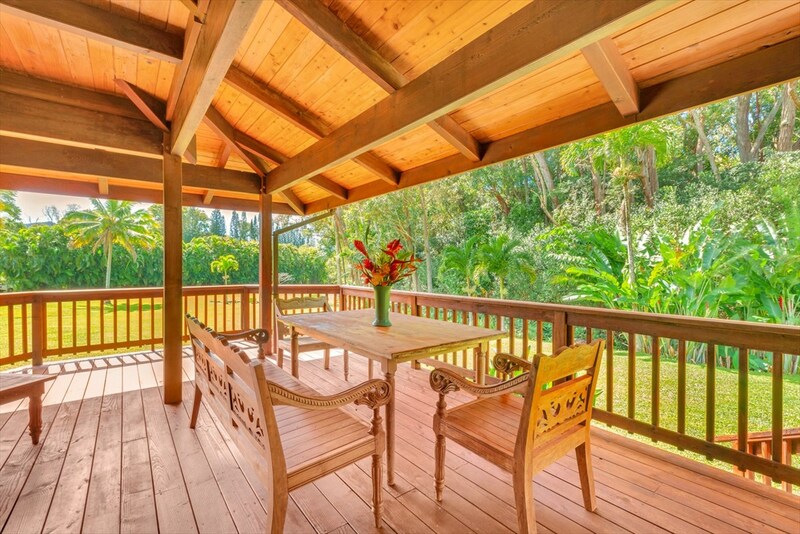 The generous lanai is perfect for indoor-outdoor living. 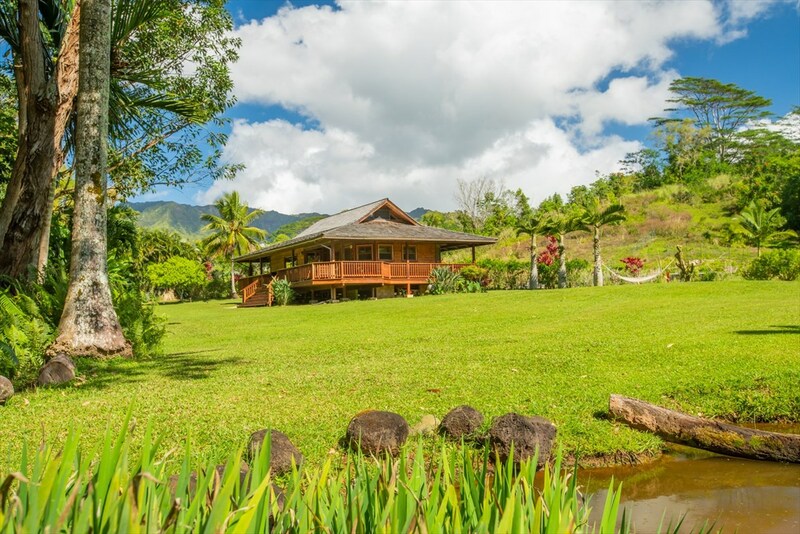 This home is the perfect getaway from everyday life. 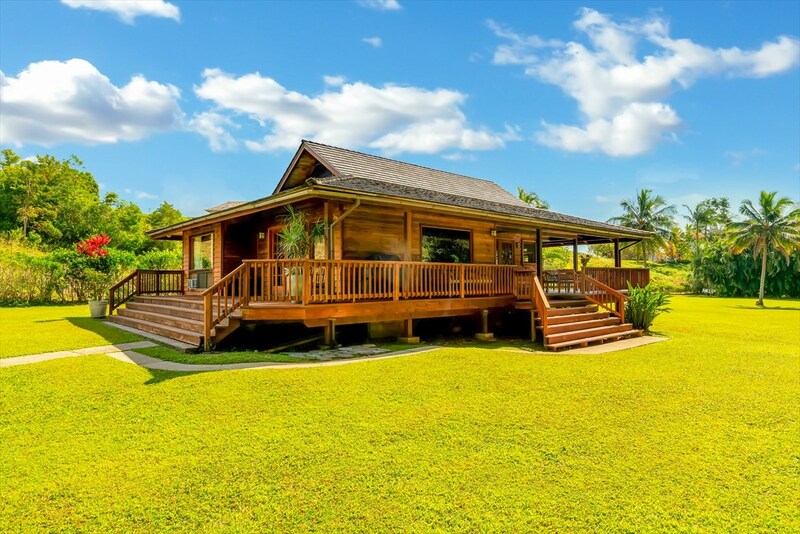 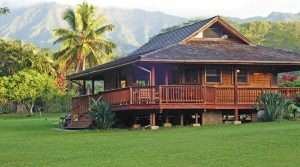 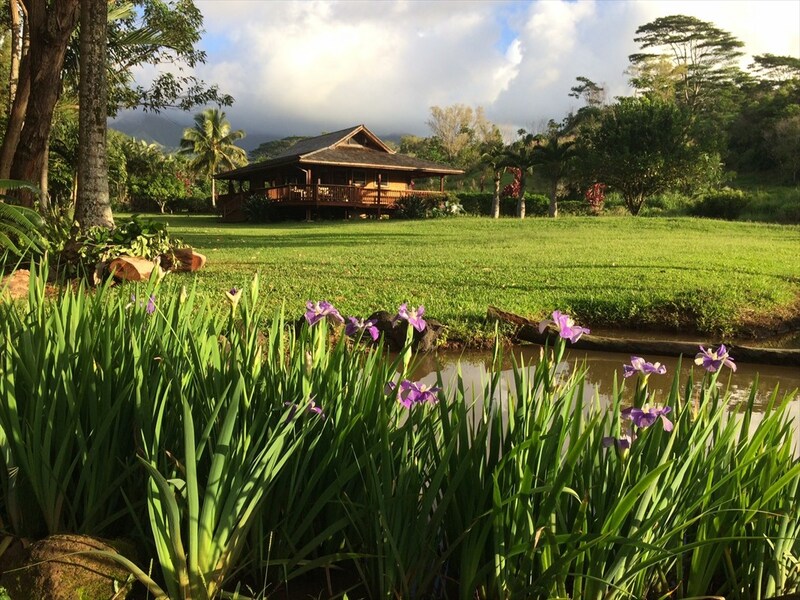 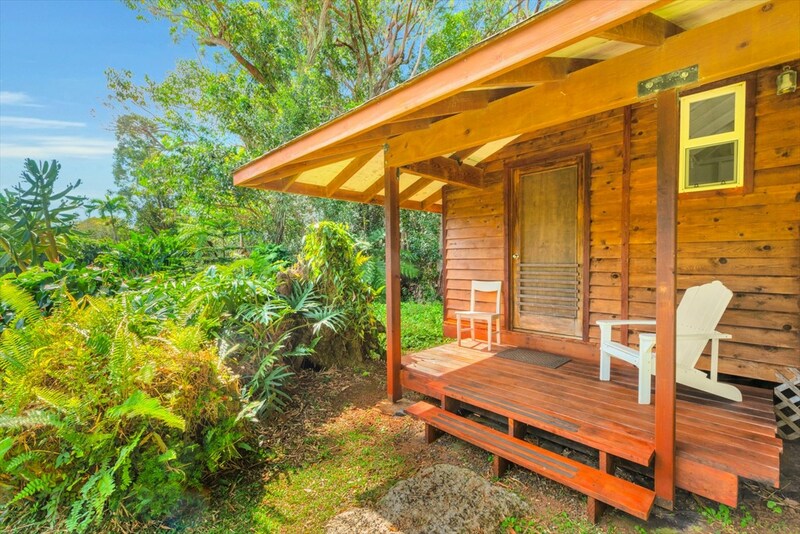 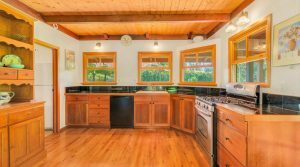 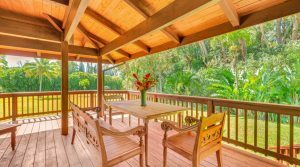 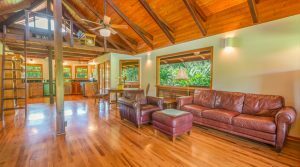 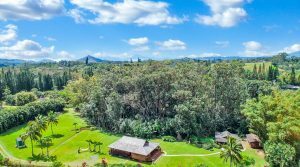 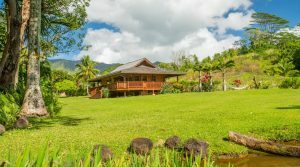 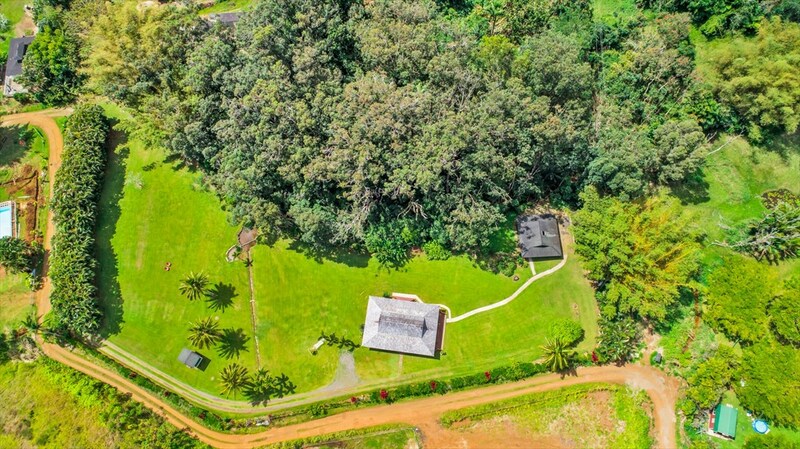 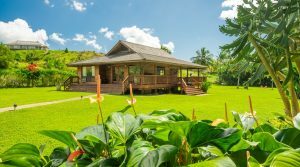 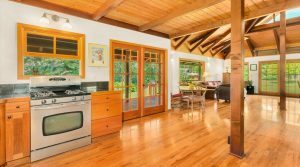 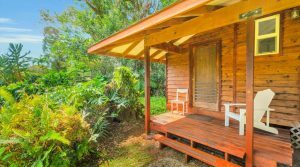 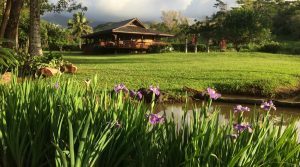 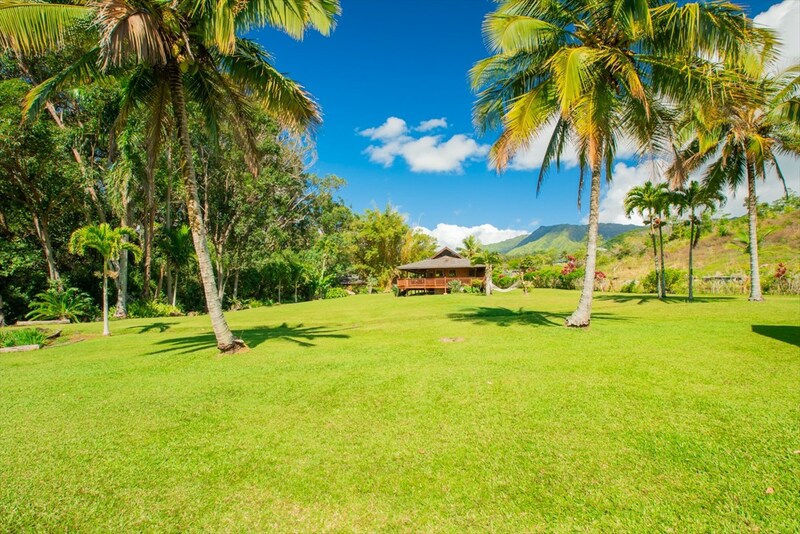 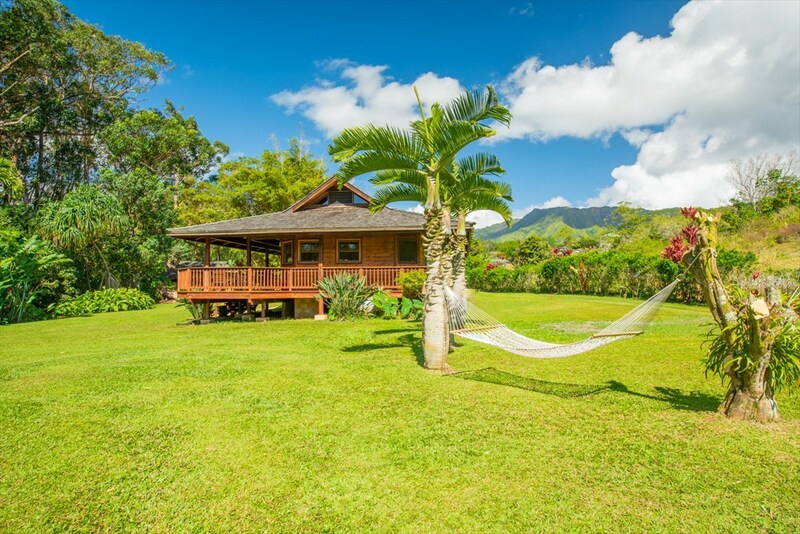 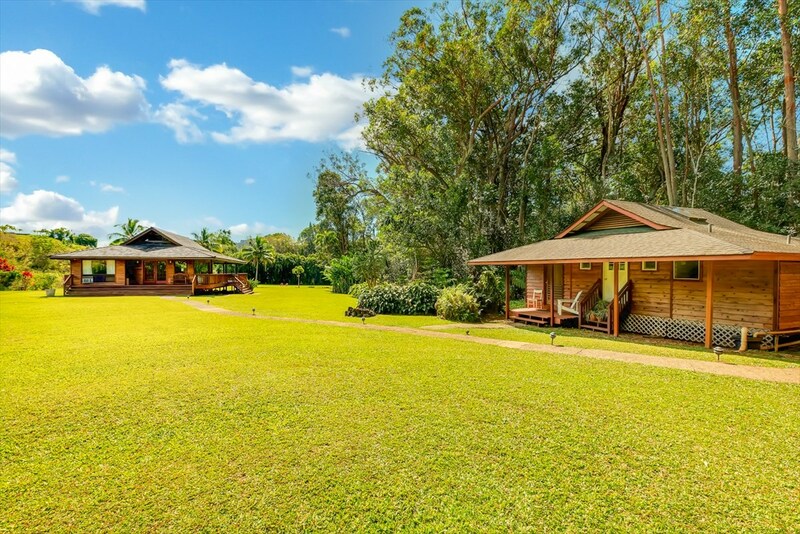 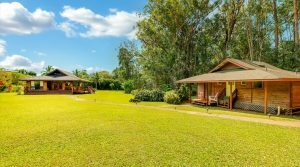 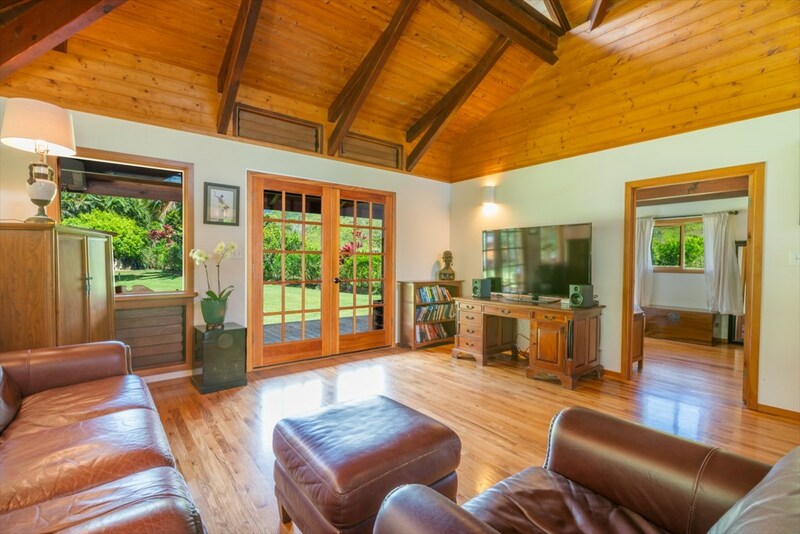 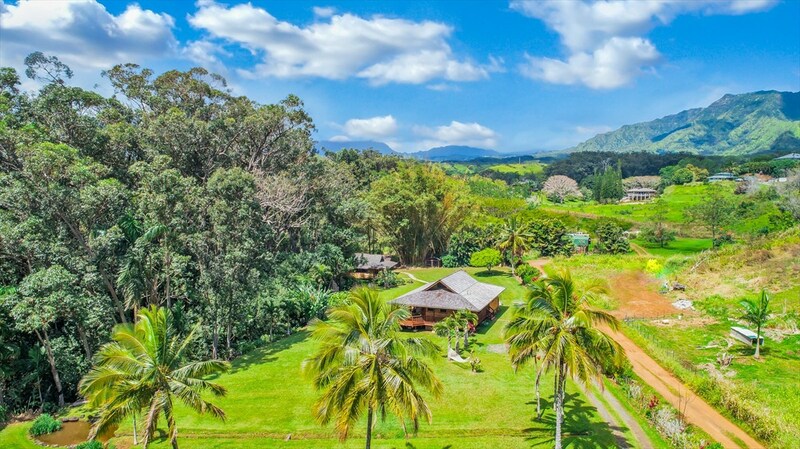 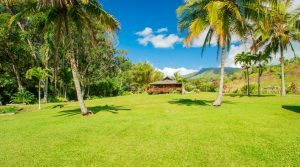 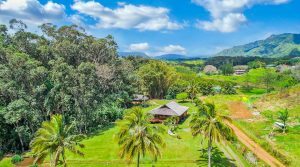 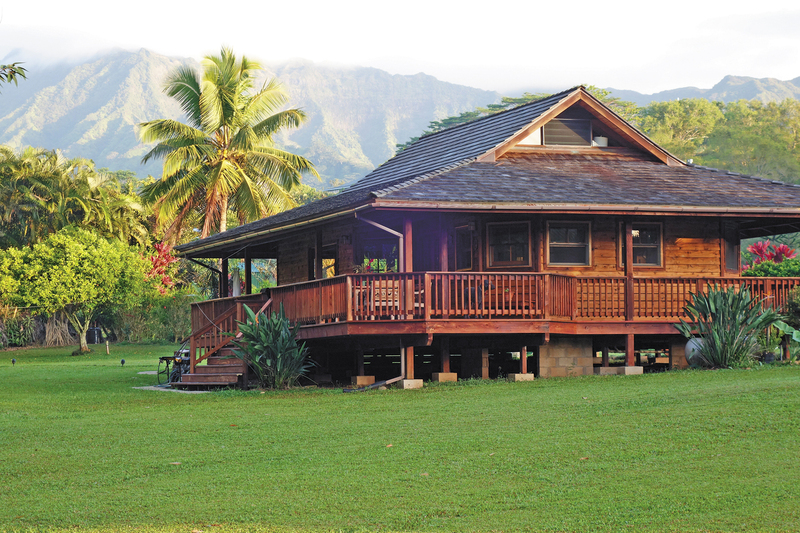 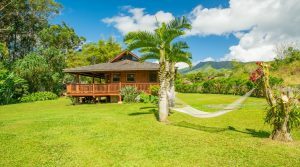 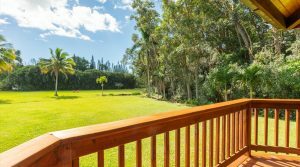 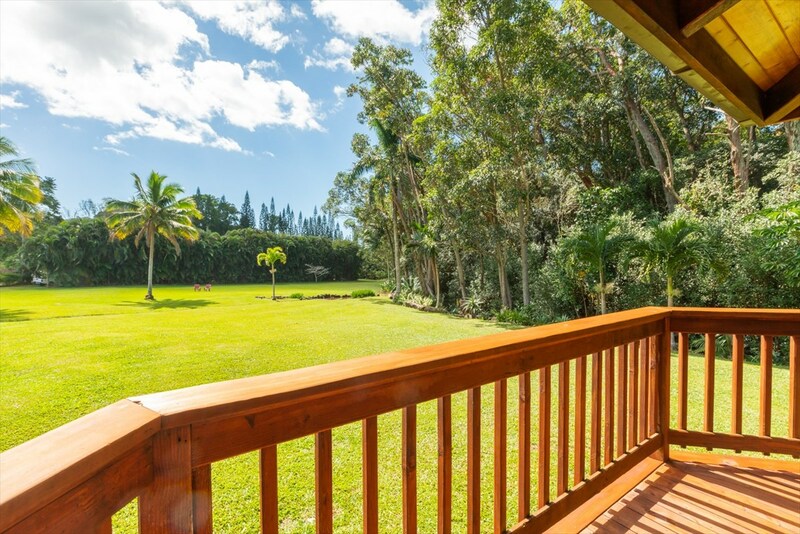 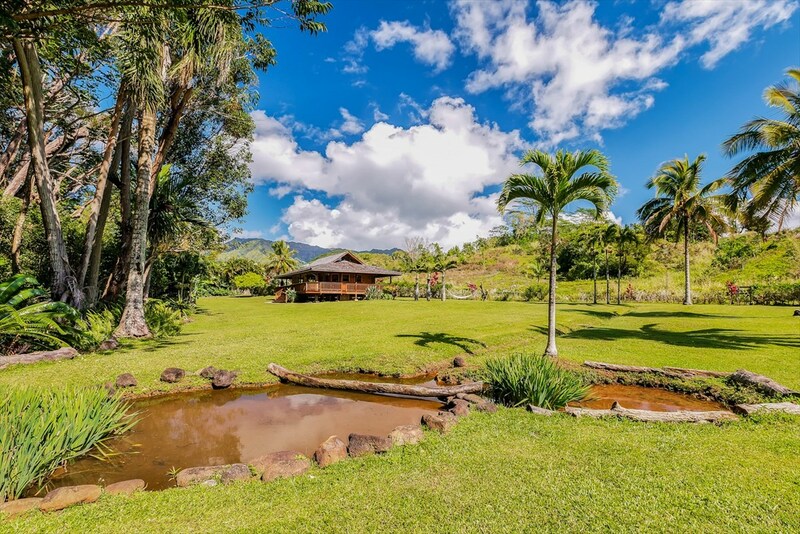 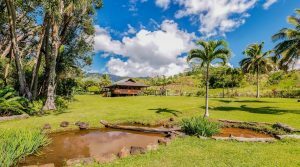 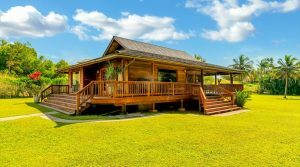 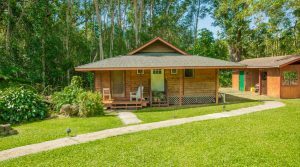 It is quiet and private; with a long driveway off a pretty country road; yet only 10 minutes from the beaches, shops and restaurants of Kapa’a town. County has said that this property can be CPR’d into two units and that an additional dwelling unit (ADU) home can be built. 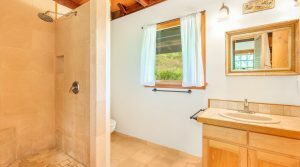 A second water meter is already installed. 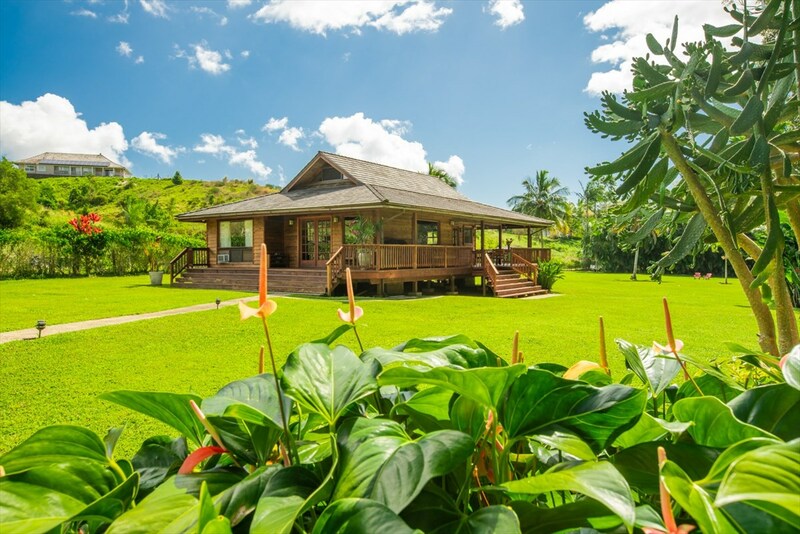 Enjoy the peacefulness of this amazing home, surrounded by beautiful palm trees, flowers, fruit trees and much more! 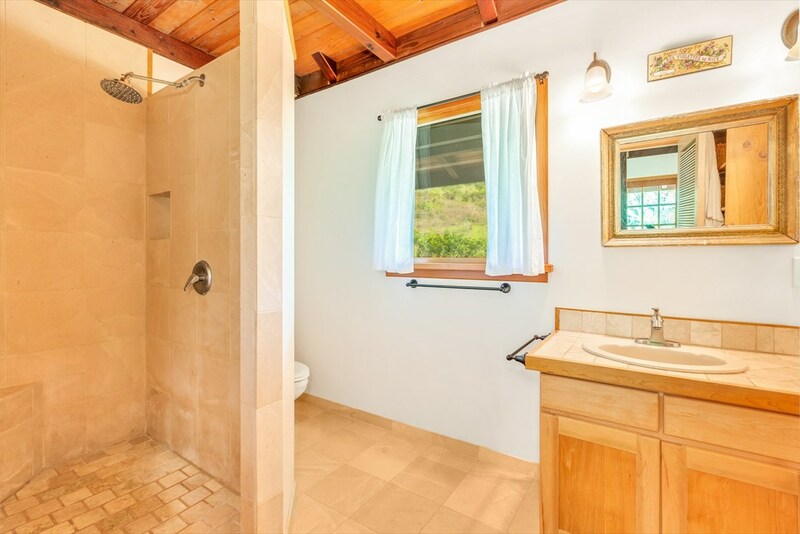 You won’t want to leave this lovely property.